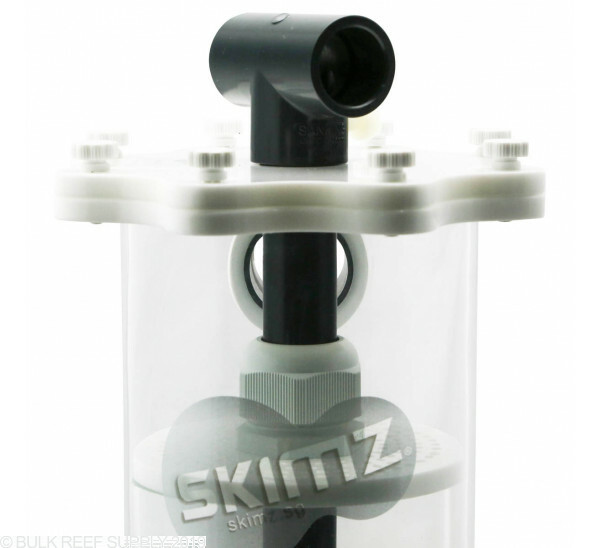 Create ultra low nutrient environment in your system with the Skimz Monzter ZM120 Zeolith Reactor. This ultra low nutrient system closely mimics reef environments. 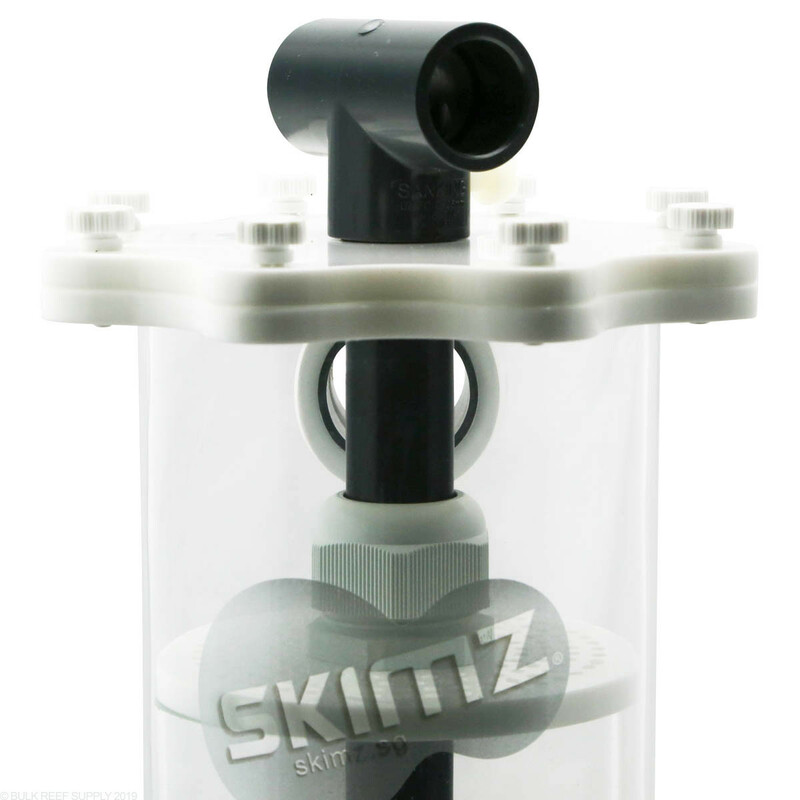 Skimz Monzter Zeolith Reactor will allow you to better influence the water chemistry, which is vital to the growth and coloration of corals, especially SPS corals. Utilizes the nutrient processing traits of selective bacteria strains and a substrate facilitative to their metabolic needs. 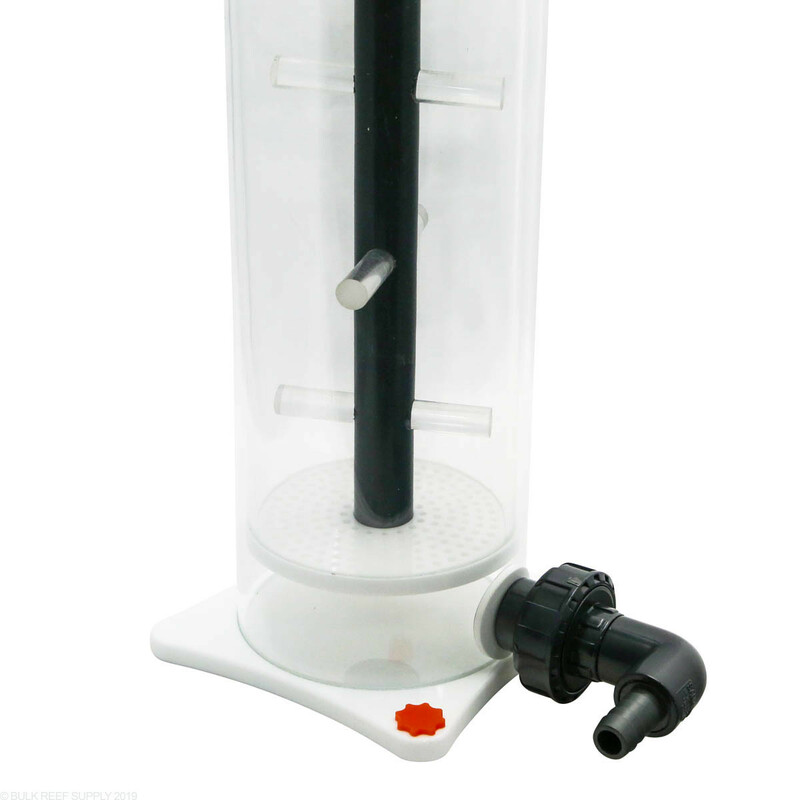 Probiotic methods (ultra low nutrient) require a good protein skimmer for effective use. After 2 years of continuous duty the bottom sprung a leak where the acrylic tube connects to the base. Lets just say my wife was not happy. It's a decent product but it leaks a bit of water at the top around the handle when you pump it, which is very annoying. It also gets salt creep around the top rim because there is no gasket/seal. I'd give it five stars but I have one issue. The description says it's 1 1/4 output so I went out and bought 1 1/4 fitting so I had them ready before the reactor arrived. Turns out it's a metric 40mm outlet. It comes with an elbow and a length or pipe so I just made it work until I found an adapter. Works well, other than that. Great reactor for those of us who wanted an external reactor to run Zeo. As Jeff said I think it holds just a bit over 1L of Zeo so not meant for larger systems obviously. 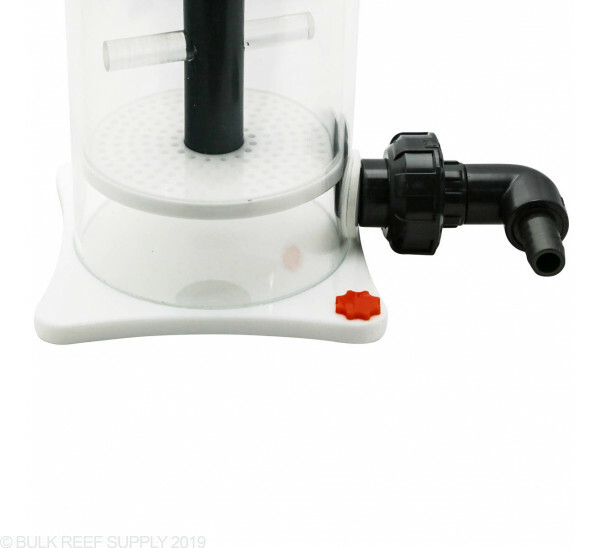 Pretty easy to take apart and change out the media, very solid design, easy to pump (even my tiny fiance can do it while I am out of town). I'm going to be starting a ZEOvit system and I know that some equipment won't be needed such as GFO, with this system should I keep my biopelet reactor? you will not want Bio pellets to be running along side Zeovit. This will interfere with the program. Feel free to let us know if you have any further questions. I Can I place it inside of the sump right? Correct, this can be run internal or external. 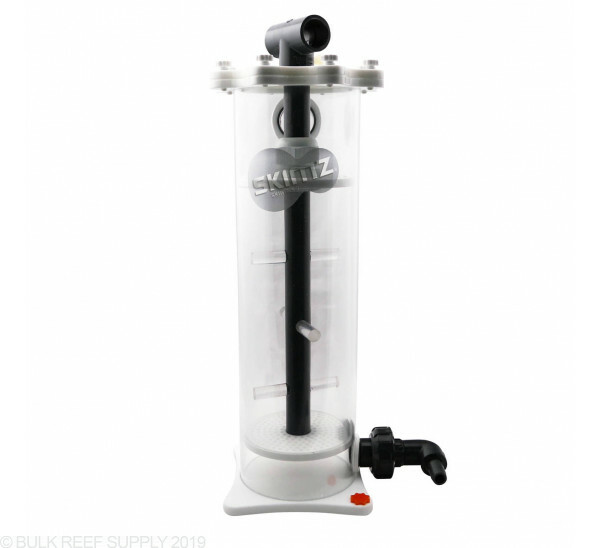 Can I run/put this reactor in the same chamber as my return pump? Unfortunately, this particular reactor is designed to be run externally. Have a great day! I was just wondering what the dimensions of the base are (not the overall footprin)? Thanks! The dimensions for this reactor are, 5.71" x 6.89" x 18.11". Have a great day! Is there an instruction manual for this product? I can't find one anywhere. There is not really an instructions manual available. 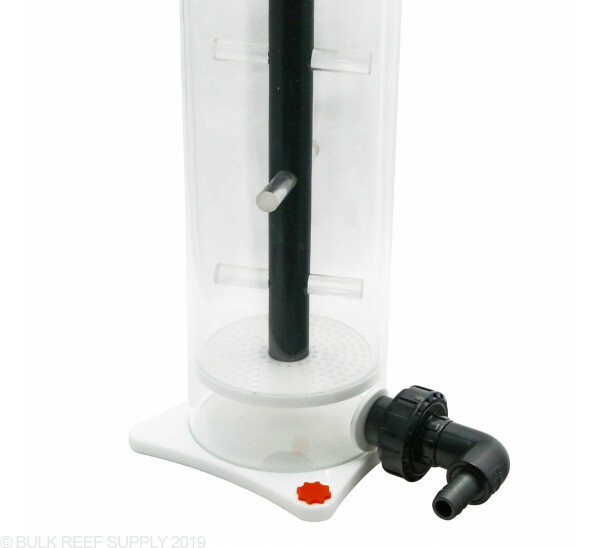 You will connect a feed pump (Standard aquarium pump) around 200 - 300 GPH to the barb section and plumb the top part as the drain with standard PVC tubing back into the sump. If you would like feel free to give us a call if you have any installation questions! 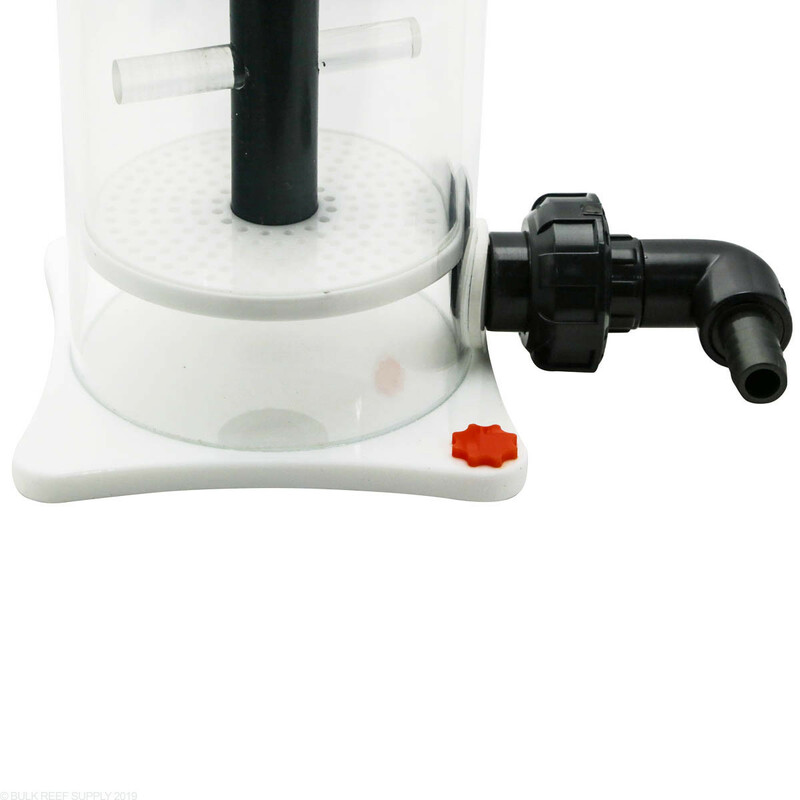 Which pump is recommended to use? Hi Felix, thanks for reaching out! Skimz recommends a feed rate of 264-317 GPH. I would recommend using the Syncra Silent 1.5 Pump (357 GPH) which will give you a little room for flow loss due to plumbing. You can also dial back the flow a bit with the built into adjustment if need be.